Being environmentally friendly is a commitment that is easier said than done. Our philosophy here at Stratus Building Solutions, the nation’s leading green commercial cleaning and janitorial services franchise, is built on a foundation of doing what’s right. That includes backing up our commitment to be the leader in green commercial cleaning and janitorial services –providing professional, quality janitorial services with an unwavering devotion to the environment. The green movement’s momentum picked up traction this summer as companies re-examine their relationships with plastics. 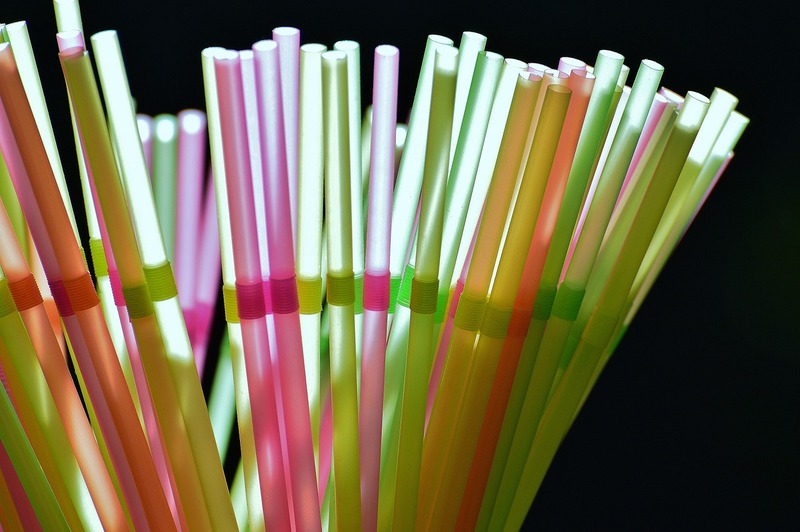 Starbucks made national headlines when it announced it is discontinuing the use of plastic straws globally by 2020. American Airlines, Hyatt Hotels and several other businesses are also promising to implement similar bans. Single-use plastic grocery bags are forbidden in cities such as San Francisco. Even shoe giant Adidas dropped the hammer on plastics this summer, pledging to only used recycled plastics in its shoes and clothing by 2024. Stratus Building Solutions certainly welcomes this news as companies put a greater emphasis on protecting our environment. We can proudly say being environmentally responsible has been in our DNA since our inception. When you partner with Stratus Building Solutions, the nation’s leading green commercial cleaning and janitorial services franchise, you have made a conscious effort to join “go green” movement. We proudly use environmentally-responsible and effective cleaning chemicals for every service we provide to our customers. You’ll find our procedures are environmentally-friendly from our very first meeting as we will present you paperless proposals and paperwork systems. We offer janitorial services for commercial and public properties. We are entrusted to keep medical facilities pristine. Stratus Building Solutions can even be your source for post-construction site clearing and cleaning, including pressure washing needs. We get the job done, all with environmental safeguards in place. Stratus Building Solutions has set the industry standard when it comes to green solutions. How can we say that? Simple. We’re the first in the building services industry to offer a proprietary line of Green Seal Certified (GS-37) Stratus Green Clean chemicals. The line is biodegradable, non-toxic, no known carcinogens, no VOC’s and fragrance-free. Stratus Green Clean products create a healthy environment for your clients, customers and workforce, and produce a clean, fresh atmosphere in your facility. In the tech world, the term “early adopters” describes people who jump on technology as soon as it becomes available. We consider ourselves early adopters when it comes to clean, green commercial cleaning. Our crews make use of the latest technology, including microfilter HEPA vacuums. You’ll also find crews taking advantage of a UVC Sanitizing Wand. This piece of technology uses UV-C light to destroy viruses, bacteria, mold and dust mites by penetrating their membranes and dismantling their reproductive capabilities. We welcome the movement to protect the environment. Just know, you’ve been part of the green wave as soon as you made the decision to bring Stratus Building Solutions on board to assist in your commercial cleaning and janitorial needs. With us by your side, you can publicize your efforts to promote environmental responsibility. Ready to go beyond banning straws and truly go green with stratus? Get started here – https://www.stratusbuildingsolutions.com/contact.